As a company that focuses on electrotechnical and technological innovations, we will be attending this year's exhibition AMPER 2018 in Brno, where we would like to introduce our software solutions to new technology-oriented clients – among which has been for several years now e.g. ABB. 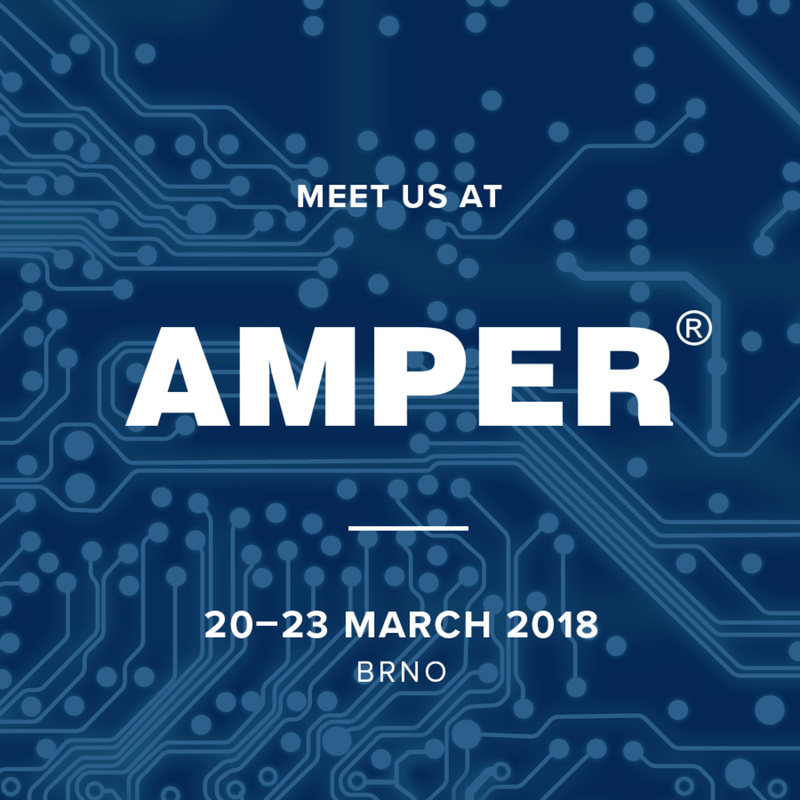 AMPER is rightfully considered to be the largest fair of electrical engineering within both the Czech and Slovak Republic. Last year's fair was visited by 43,800 visitors who saw the exhibitions of 600 companies from 22 countries. Are you heading to Brno to check out all the innovations at AMPER 2018 and you want to discover more about our services and how our software solutions and other products may help your business? Do not hesitate to contact us. We will be glad to meet you there and discuss everything in person.